Let’s look at how MYSTIX can work for you. Discover MYSTIX to see how we can help you, no matter who you are or what you do. Do you train in-house? or are you an external training organisation? Whichever you are, if you are not giving a lecture or presentation, you will likely want interaction between attendees. Picture this – you arrive to deliver your training and find that everybody has gathered in their typical work groups. Whether you know the groups or not, they do work together and you may feel uncomfortable deliberately splitting them up for various tasks. Having a tool that will randomly and fairly assign groups takes this responsibility from your shoulders. professional, mature, gossips, a culturally diverse group? What about their personalities? Will they like your style of teaching? Will they take part? One thing to bear in mind is that at the end of the day, you are all there for a reason. Every attendee is there to learn what you have to teach. How you optimise their experience is up to you. Click here and Discover MYSTIX to see how we can save you planning time, worry time, and learning time. Together, we will make you look more organised, more efficient and more energised! Watch your positive reviews skyrocket. To buy sets of 12 now, follow this link. Imagine having an event where delegates can always be one person away from who they really came to meet. MYSTIX are a great way of optimising time management skills, enabling delegates to make informed decisions. Delegates and organisers are busy people, which is why such events are necessary to begin with. If a delegate is unable to achieve their desired outcome, the event may seem like a waste of their time. Some people are not great at just joining in with a conversation and introducing themselves. Taking this into account, that one warm introduction from a familiar face from one of their groups could be the key to a successful encounter. Discover MYSTIX to see an increase in attendance and communication at your events. Email us your requirements and we can discuss what we have available to order. Do you work with groups of people doing out-of-school/work activities? Activities that aren’t based on academic/sporting achievements can be difficult to allocate groups for. How do you allocate a certain role to some participants and not others? If it is based on looks, gender, confidence, or some other criteria, you may feel justified in your decision in that moment, but this could trigger a response in your participants. Perhaps you have just confirmed what they believed all along – e.g. that they are confident/strong/able/weak/shy/incapable – and so they will continue to believe this, no matter what else you try and do to justify/rectify this decision. Being able to approach a new group and honestly say, “Look, I don’t know you and you don’t know me; we’re going to allocate roles and groups completely randomly” can be a breath of fresh air to participants. The boy always lacking confidence from being chosen last is now team leader because he didn’t have to be the loudest to shout he wanted the job. And he’s actually really good at it. The girl who usually bullys others is now in a group without her usual friends and sees that the others aren’t so bad after all. There is no argument/disruption to get her in this group though, it just happened to be so. The friends who stick to each other like glue can make new friends without feeling like they’re betraying the other. There is always a role that nobody ever wants (to play a monster in a story, to be in goal) and the person allocated just accepts it. They know they haven’t been singled out and chosen for a reason. To buy sets of 12 now, follow this link. Schools are the ideal place for MYSTIX. Where else is it so important to show that everybody has something to contribute? that everybody is worthy? that everybody is equal? Differentiation is the buzzword at the moment in education and, I must admit, it does have its place. However, every interaction between students need not be scaled by ability, gender, behaviour, friendship group or personality. Children will mix with people of all backgrounds in the adult world, they will encounter people of all abilities in the workplace. It is important for them to prepare for this in the classroom. Given half the chance, you will be amazed at how your students can and will surprise you. Random name generator on the whiteboard. MYSTIX reduce conflict and argument and there is no room for doubt that they are random. switched into completely different groups. For more information on our larger sets and how to pre-order, contact us. We can also discuss how you can potentially differentiate your groups. (There will be blog posts about differentiation at a later date). To buy multiple sets of 12 now, follow this link. For more information email info@mystix.co.uk . MYSTIX started out as a solo mission. I originally had the idea thanks to my Young Learners English classes in a town called Sanlúcar de Barrameda in Spain where I used to live. I wanted to make learning more fun and fair, and I also wanted learners to feel empowered when learning a foreign language; MYSTIX can use as much or as little language as possible, so even the youngest learners could get into groups using only the target language. I later moved on from teaching and attended CPD sessions and more and more networking events. 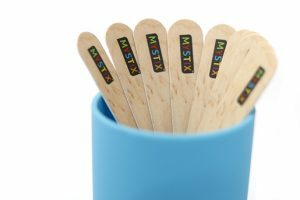 I could see a wider use for MYSTIX, and had a growing amount of interest from businesses.